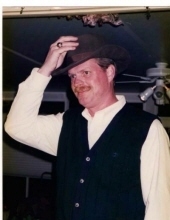 Thomas Edward “Tommy” Stone, 62, husband of Judy Schilling Stone, of Lakeview Dr. Johnston, SC entered into rest Monday, September 24, 2018. Funeral Services will be held at 10 AM Friday, September 28, 2018 at Johnston United Methodist Church in Johnston, SC., burial will follow in Peace Haven Baptist Church Cemetery in Edgefield, SC. Mr. Stone was born in Augusta, Ga and was the son of the late Charles Henry and Edith E. Hammond Stone. He was Co-Owner of Maxwell and Halford Drug Store for 32 years, a member of Johnston Development Board, a former Johnston Town Councilman, and a member of Johnston United Methodist Church where he was a Trustee and Choir member. Survivors include his wife; two daughters, Sarah Stone (Brent) Gregorich, and Elizabeth Schilling (Catherine) Stone; one grandson, Connor Thomas Gregorich, and another grandson due in February; one sister, Deborah (Rusty) Prater. Memorials may be made to Johnston United Methodist Church, PO Box 186, Johnston, SC 29832. The family will receive friends Thursday, September 27, 2018 from 5 to 8 PM at Edgefield Mercantile Funeral Home in Edgefield, SC. To plant a tree in memory of Thomas Edward "Tommy" Stone, please visit our Tribute Store. "Email Address" would like to share the life celebration of Thomas Edward "Tommy" Stone. Click on the "link" to go to share a favorite memory or leave a condolence message for the family.